Sumatriptan (brand name Imitrex) is one of the most prescribed medications to treat acute cluster headache attacks. For many of us, it’s a godsend. I used to stock up over the year in preparation for an episodic cycle, and I used 2-3 injections a day—sometimes for 60 days or longer. They certainly work, and I was able to function, but it was around that time that my episodic cycles started to last longer. Additionally, I began to get rebound headaches, which is extremely common. According to Dr. Cori Millen of the Colorado Neurologic Institute (CNI), medication overuse (particularly triptans) has the potential to turn an episodic cluster headache patient chronic. Additionally, a 2006 research study found that triptan, opioid, or ergotamine overuse caused both episodic and chronic cluster headache patients to have medication-overuse headaches. What Counts as Medication Overuse? Medication overuse for triptans goes beyond a 24-hour period. 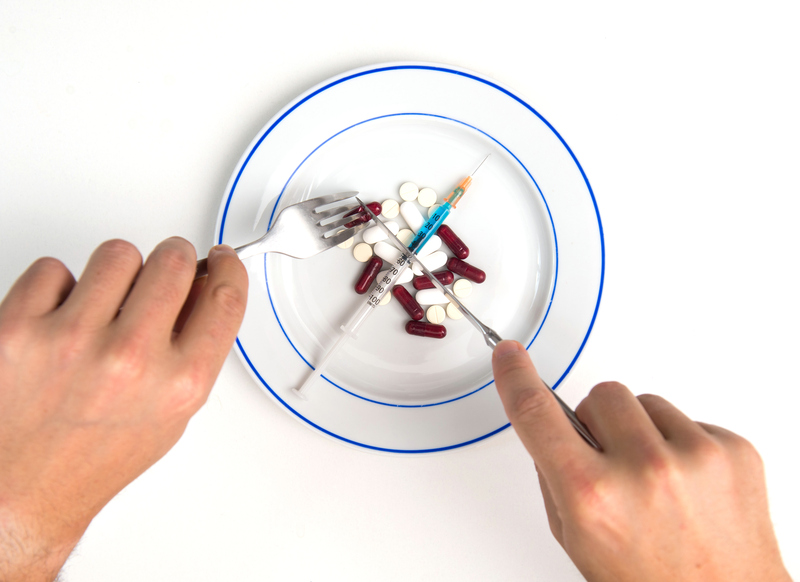 Ideally, you’re not supposed to take triptans for more than ten days a month or more than two days a week. This seems unreasonable, though. Even if you only get two attacks per day, you’re only allowed to treat four of them with sumatriptan in a week. That just won’t work, which is why a lot of patients (including myself) overuse sumatriptan. It’s Level A advice for an abortive treatment because it works amazingly well. 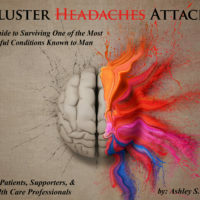 You can read more about the available treatments in my book, Cluster Headaches: A Guide to Surviving One of the Most Painful Conditions Known to Man. Many of us “break up” the auto-injectors to abort attacks using 2-3mg and to avoid medication overuse, but after talking with Dr. Millen, using any amount of sumatriptan to abort more than four attacks a week or for more than ten days a month can be considered medication overuse. Do You Have Rebound Attacks or Medication-Overuse Headaches? I misused sumatriptan for more than five years, and it worked. Sure, I went through withdrawals when the cycles ended, but the fever and chills were a welcome change from the icepick in my head. As I’ve gotten older and my cycles have lasted longer, I now get rebound attacks when I use the injections. I go from two attacks a day to four or five. Whether or not excessive use of sumatriptan caused my cycles to get longer is debatable, because it could be the natural progression of this god-awful condition. However, this information was more than enough for me to save injections only for emergencies and reach for my oxygen mask instead. Each attack is agony, and I’ll be the first to say I don’t care about the long-term side effects in those painful moments, but time has taught me that I’ll pay later for the injection I do now. I know we don’t have a lot of options, but new clinical trials such as the CGRP antibody studies through Teva and Eli Lilly & Co. and the psilocybin study at Yale are looking for patients like you in the hope that we have more effective and less detrimental options soon. I’ve heard other clusterheads cite sumatriptan or even verapamil as their “cause” for going chronic, and there very well could be something to that, but we need more studies to be sure. If you’ve switched from episodic to chronic after overusing any medication, I’d love to hear your story and talk more in the comments. I used to use sumatripan as nasal spray for over four years for attacks. Almost ten to fifteen shots a week for month first and they series started to last longer and longer and came more often. I used to have 1 serie a year lasting 1 month. Now i had previous one from 3rd of october 2016 to 23 of may 2017. And the one that is going on right now, started mid of august. I got a 2 week brake with RC-seeds, but they stopped working. Hope this is useful. I’m sorry they’ve gotten worse for you as well. Sumatriptan works for the attacks, but personally, they’re not worth the added attacks that come with them. I have exactly the same symptoms you describe. I used to be a periodical cluster patient, but since 2 years I now am chronic. The attacks come in a certain pattern; first they start not too heavy, then grow over the days and the quantity to heavier, then i use the injections, sometimes 2 a day. I also use verapamil. Because of hart problems due to this medicine I am only allowed 1x 240 a day. Although I know it is forbidden, I raise the verapamil up to 3x 240 a day and then the attacks start to go away. I then lower the doses and then it starts again and so on and so on.. This is now going on for two years. It looks that it doesn’t go away anymore. I must say that the injections are working very good. Especially when I am at work. I can do them in the bathroom, stay for 5 minutes and then go back to work. I now feel that the attacks come because of the medicines. That’s a lot of meds! Verapamil definitely has its advantages, but the heart problems are scary. Be safe! Do you have high-flow oxygen? I know it’s hard to do at work, but there are smaller tanks you can fit in a backpack that can abort one attack.